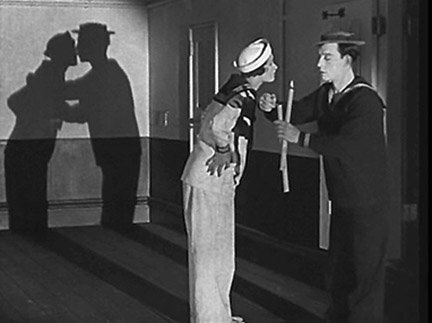 This entry was posted in Haiku, Micro-Poetry, Poetry, Silent Film, Verse and tagged B&W, Black and White, Buster Keaton, Dreams, Haiku, Kathryn McGuire, Kiss, Kissing, Poem, Poetry, Shadows, Silent Film, The Navigator, Verse. Bookmark the permalink. Thank you. It is nice to write then find a photo that fits. I agree–and sometimes I find the image/photo first which inspires a poem. Your haiku combined with pictures makes for such excellent reading, and this one in particular is extremely thought-provoking! Thank you Jacqueline. I am pleased you like the combination of picture and Haiku. With this one I was fortunate to find a photo that enhanced the words.